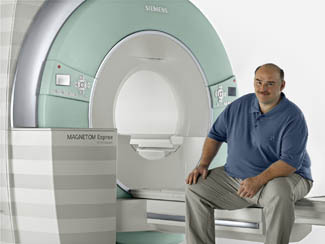 The MAGNETOM Aera's extra-large opening means it can comfortably accommodate patients of all shapes and sizes. It is perfect for those who get anxious and claustrophobic during an MRI, as well as anyone who likes more space. With one foot of spacious headroom, you'll no longer feel like you are nose-to-nose with the top of the magnet. For many exams, your feet go in first and your head remains outside of the system. Most important of all, the power is three times greater than conventional Open MRI and assures your doctor gets the most confident diagnosis. You'll love it for comfort, we love it for its power. Finger Lakes Radiology has four Board Certified, fellowship trained Radiologists.